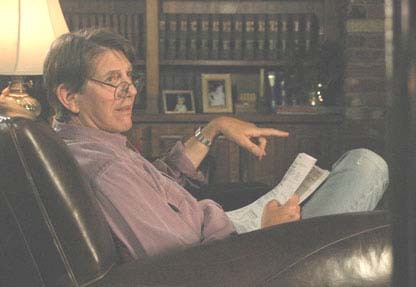 Kansas City was chosen as the shooting location because everyone at Waldo West Productions lives in the area along with the director and screenwriter. Director Dennis Fallon says his film is about a broken family and all the things they have to put together because of the death and the things they have to mend. Despite shooting on a luxurious horse farm and having a great cast, Fallon is proud of keeping his budget under three million. "When you see this film, you are going to be like, how in the world did you get all this for fewer than three million? It’s going to look great." This film could be labeled as a sad film if it wasn't for the illumination that young actress Vivien Cardone brings to her role of Belle. Belle lost her mother in an automobile accident and it has affected everyone in her life, including her father and grandfather. Yet Belle's lively spirit and ability to adapt begins to slowly cause the others to reflect on their lives. She is a bit rebellious but she matures as the film moves along. 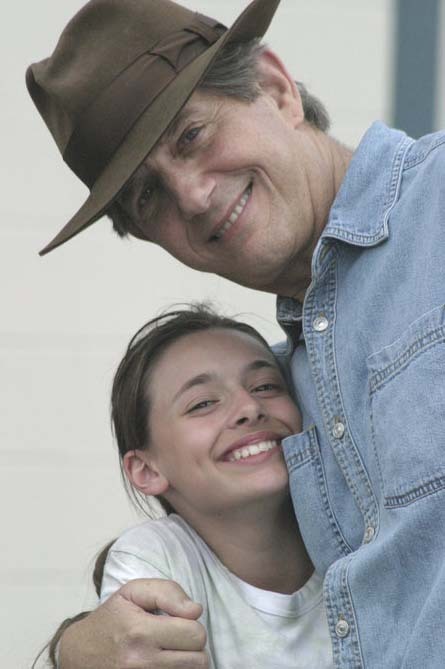 She eventually helps her grandfather, who rejected her because she reminds him of his dead daughter, to make some kind of peace with the past. This is a dramtic piece but still, it manages some humor. A parrot in the story always says "Hello" when someone says good-bye to it, and "Good-bye" when someone says "Hello." The film does have some mild language and mature themes and so we recommend it for ages twelve and above. 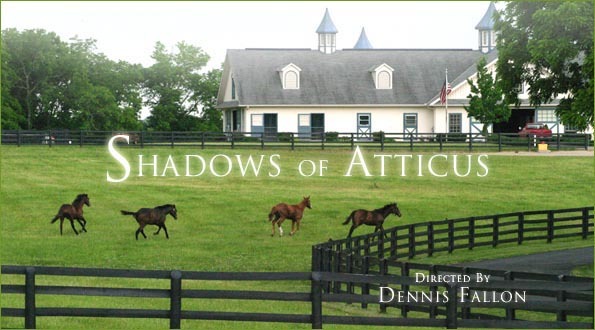 The film was previously titled "Shadows of Atticus". "There's a race in this amateurish family drama to see whose memory is sullied more: that of Peter Boyle, who filmed his odd little side role before his death in December 2006, or that of the over-quoted "To Kill a Mockingbird."... Douglas Delaney's script overflows with Kansas corn, while director Dennis Fallon's pacing is so sluggish it often feels as if time were standing still." "Too cloying even for the 'My Little Pony' set, 'All Roads Lead Home' yanks at the heartstrings until it rips them right off the ventricle. 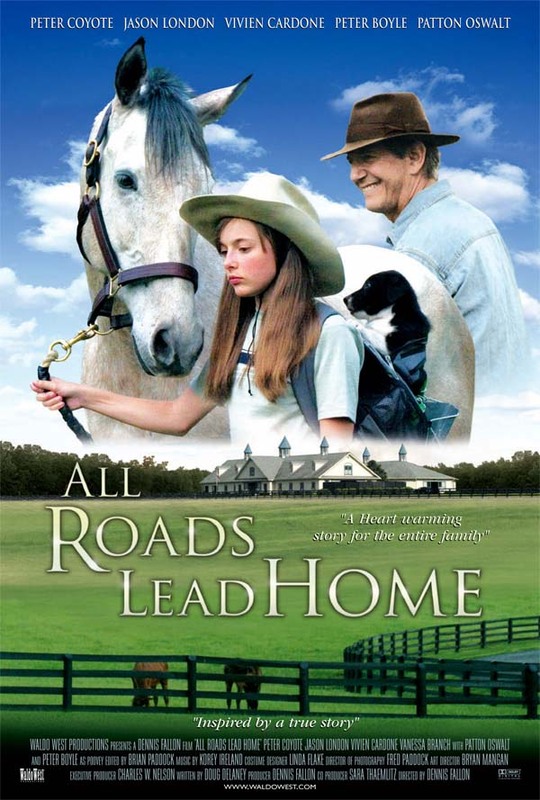 Filmed with a generous budget but not much craft, it's a kitschy childhood dream of horse and doggie love intermingled with soap opera romance and family conflict among the story's adults. One can't be sure what the filmmakers intended, but they plainly miss their target." "No one can argue the film’s intention - to provide a family film with a positive message. But the maudlin 'All Roads' is a little long and leans a little too heavily on 'To Kill a Mockingbird,' which everyone in the film seems to know by heart.Meanwhile, the narrative threads unspool wildly... It’s not that the film is too complicated, it’s just unwieldy. Kudos, however, to the filmmakers for giving us a strong young heroine whose melancholy isn’t easily cured. And it’s good to see KC as the backdrop. 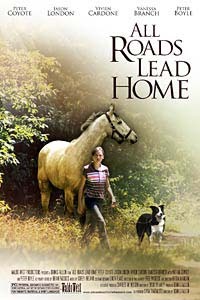 But ultimately, “All Roads Lead Home” is less a dramatic work than a homily for pet adoption." "Starting with the ominous caveat 'Inspired by a true story,' there is little indication that 'All Roads Lead Home' is going anywhere interesting. It opens in bucolic blandness, with a montage of picturesque pastures and frolicking equines, then veers quickly into melodrama... This is all pretty standard Hallmark Channel fare, right down to the gear-grinding plot devices and stilted dialogue... There is, however, a subtext of moral searching - focused on the issues of animal rights and euthanasia - that will elevate the film for some viewers and probably alienate others." 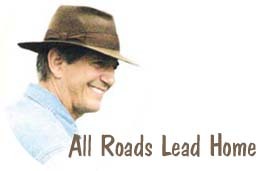 'All Roads Lead Home' is more hackneyed than it is heartwarming. It's considerably more annoying than it is enjoyable. The reasons for that assessment include the overlong movie's series of false endings and its series of treacly, false-note sentiments. Also, it's a confused muddle, and its often-confusing, contradictory messages leave you unclear about just what the filmmakers were trying to say. 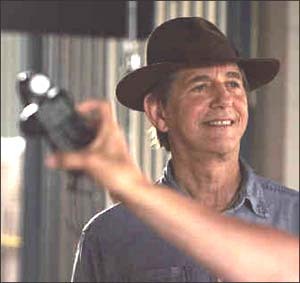 And despite having some name actors in its cast, the film is surprisingly amateurish, especially in terms of technical filmmaking." 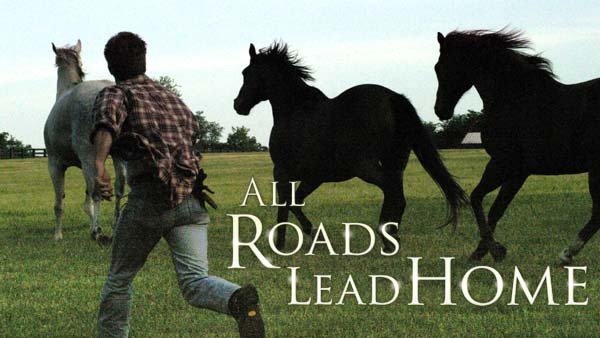 "'All Roads Lead Home' is earnest, well-meaning and dreadful. The animal-rights melodrama gets off on the wrong foot by inviting comparison to a classic, "To Kill a Mockingbird'... The story meanders all over the place, as if the scenes were randomly edited together."